4-Methylumbelliferyl palmitate is used as a fluorogenic substrate for a subclass of esterases called lipase. Lipase is an enzyme that assists in the hydrolysis of fats. They have a large role in digestion as well as dietary lipid transport. Lysosomal acid lipase (LAL), in particular, is required for the hydrolysis of cholesterol esters which are then delivered into the lysosome. Deficiencies in LAL are primarily associated with two diseases: cholesteryl ester storage disease (CESD) and Wolman’s disease (WD). 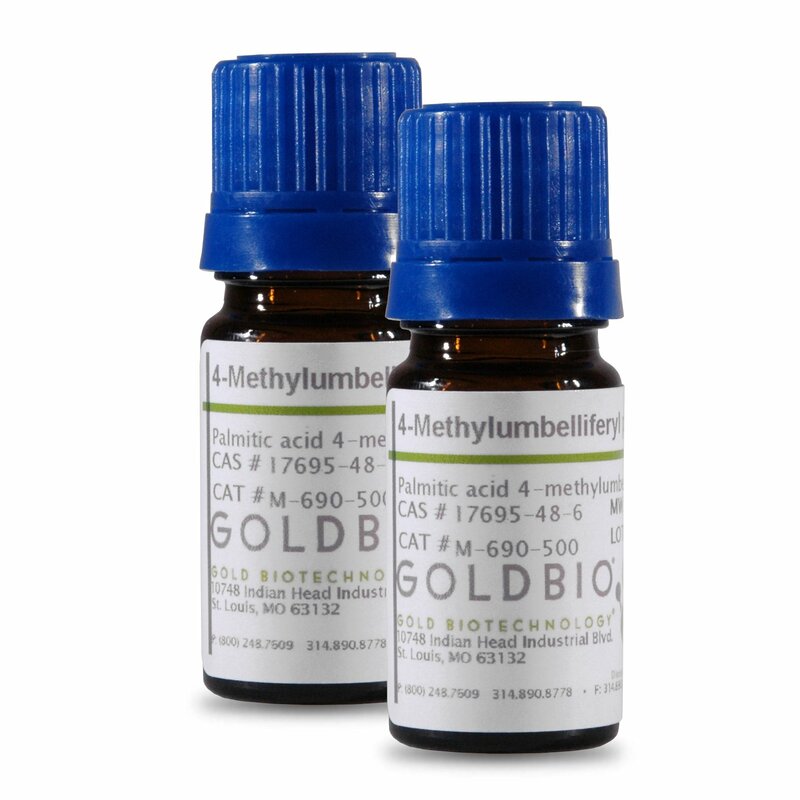 4-Methylumbelliferyl palmitate has often been used as one of the lipase substrates in studies involving either of these diseases.